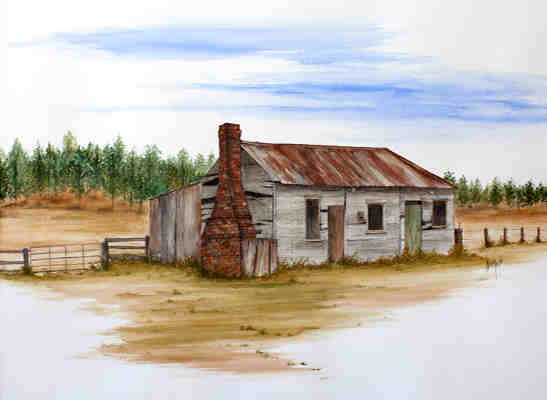 Delaporte Homestead, was one of the original settlers houses in Capel. It was demolished as it became unsafe to conserve. This print is available in 2 mounted sizes.